The word “Tune Up” is probably the most misused and misunderstood Automotive term. According to the Merriam-Webster’s dictionary under the term “Tune-up” it says: “general adjustment to insure operation at peak efficiency. Before electronics came into the picture the term “tune-up” was applied to the maintenance operation of replacing the spark plugs, distributor points, inspecting or replacing the cap and rotor and possibly replacing the fuel and air filters. There were many adjustments to be done on these cars; point gap, ignition timing and idle mixture and dwell. This was a preventative maintenance operation that usually needed to be done about every 12,000 – 20,000 miles. Distributors are now gone and even spark plug wires are missing from many applications. Forget those adjustments, the onboard computer handles fuel mixture, timing and idle speed control. On many of the newer cars, just spark plugs, fuel and air filters and PCV valve remain of the items that we used to consider part of a “tune up”. Someday the spark plugs may disappear also. Because the word “tune up” can mean so many different things the manufactures don’t list tune ups in their maintenance schedules. They list the items individually at specific miles or duration of time. 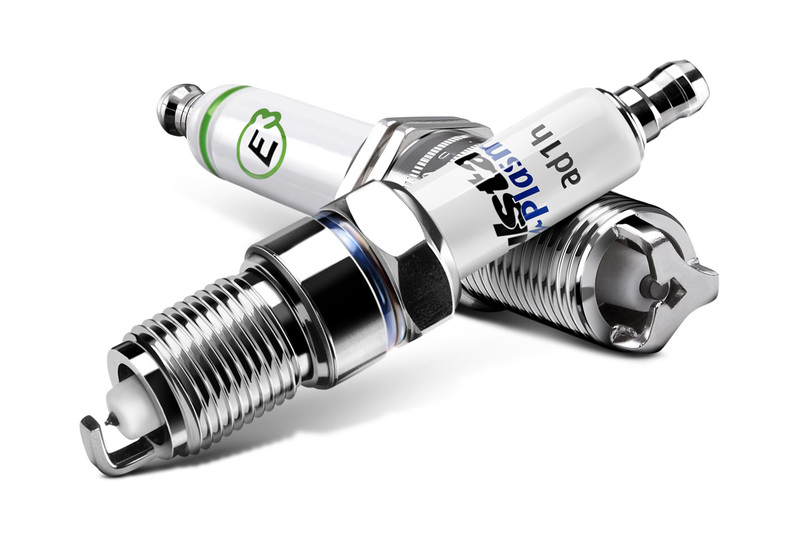 Due to the electronics and newer technologies the recommended mileage between “tune-ups” or spark plug replacement has gone up to 30,000, or 60,000 and even 100,000 miles! This means that a $250 tune-up now, is cheaper than the 2 or 3 tune-ups in the same amount of mileage that were done for $100 25 years ago. Especially when you compare what $100 was worth then. Every repair shop determines what their particular meaning of a “tune-up” consists of. What parts are replaced and what types of tests are done. One shop may consider a “tune-up” as throwing in a set of spark plugs and parking it on the lot, while the next may replace spark plugs and other ignition components, fuel and air filters, PCV valve and include testing to verify the electronic engine management system (if equipped) is doing its job. If you request a tune-up, always ask what is being done for your “tune-up” before comparing prices and don’t expect a “tune-up” to cure your performance problems. A “tune-up” is a maintenance procedure and if it makes your car run better, you waited too long for the service. Performance problems on today’s cars are usually caused by something that is not normally replaced during a maintenance tune-up. The best option is to not ask for a tune up, check your owner’s manual for a guideline on spark plug replacement intervals. If they are due, replace them and use original equipment style spark plugs for best performance. If you do much city driving, extended idling, towing or high speed driving, reduce that recommended mileage by at least 10 – 15%. If your car is misfiring and you don’t know if the spark plugs were replaced at the last recommended interval it might be a good idea to have it done. Use the above guide for the other components. A 30, 60 or 90 thousand mile service is not a “tune-up”, it may include tune up items but will also include many other services. A Tune-up does not usually fix problems with a way a car is running. If your car is running bad, don’t expect a tune up to necessarily fix it. Computer’s control the fuel and timing and perform all of the adjustments. Many of the performance problems are caused by a malfunctioning sensor, vacuum leaks or other failed components. If the spark plugs or fuel filter are overdue, get them replaced to see if it helps, but if they’re not, have a qualified technician with the correct testing equipment for your car diagnose the running problem. Many early car’s magneto ignition systems were very simple with one ignition coil for each spark plug. Each coil needed to be adjusted to provide the same spark intensity for better idle and acceleration. As these coils worked, they made a buzzing sound. When adjusted properly, they all buzzed in tune, thus coining the term “tune-up”.